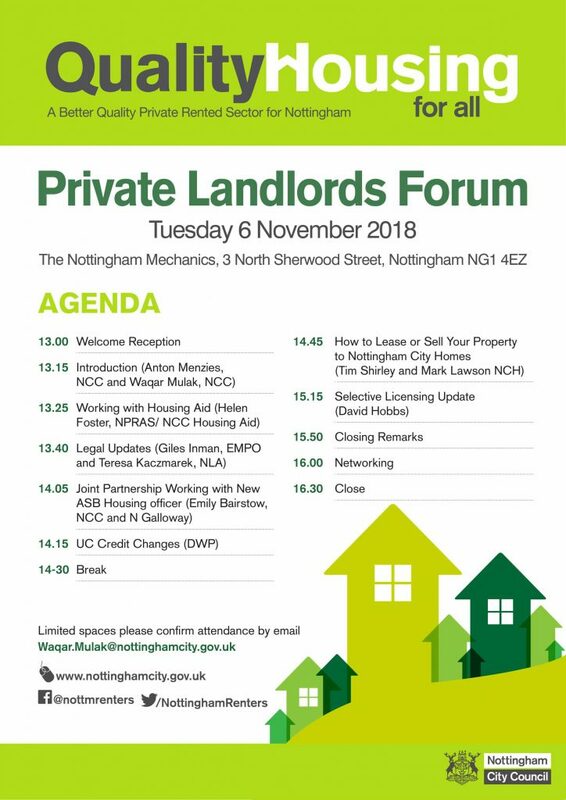 NGalloway are presenting with Emily Bairstow ASB housing officer at Nottingham City Council on 6th November 2018 at the Nottingham Mechanics, 3 North Sherwood Street, Nottingham, NG1 4EZ. Over the last few months since the Selective Licensing scheme came into force in Nottingham we have been working closely on tenancy issues relating to ASB and rent arrears. A significant part of landlord licensing is managing the tenancy and dealing with antisocial behaviour. We have found that landlords and tenants have the same problems but from different viewpoints. At this presentation we will be talking about how we worked together to solve some real problems.